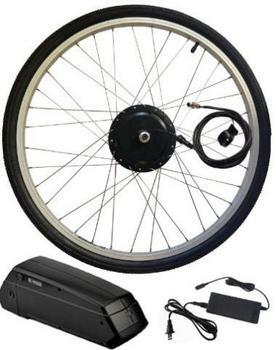 This recall involves Hill Topper Electric Bike Kits with motor controller circuit boards used to convert regular bicycles to electric bicycles. The motor controller circuit boards, 24V/250W and 36V/350W, were sold separately as well as part of the kits. The model numbers KT24WSH-BF08 and KT36WSH-BFZ13504 can be found on the front of the motor control units. The kits, manufactured in China, were sold at Hill Topper’s Seattle store and online at www.electric-bike-kit.com from January 2017, through June 2018, for $50 (24V/250W units) to $60 (36V/350W units) and for between $500 and $800 when sold with the kits. Consumers may contact Hill Topper toll-free at (855) 743-3279 Monday through Friday, 8 a.m. to 3 p.m. (PT), by email support@ukko.io or online at www.electric-bike-kit.com and click "Important Hill Topper Service Bulletin" for more information.